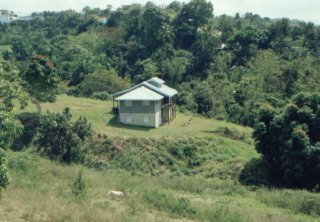 This unfinished 2 level hilltop home is located in a quiet section of Bo. Rio Grande in Sector Vargas of Rincon. The upstairs section of the home is projected for 2 bed 2 bath with living room and full kitchen. The downstairs section of the home is projected for 2 bedrooms (first 18 x 10, second 18 x 11), Laundry room (10 x 13), Shop (11 x 18), and large open living space (21 x 28). 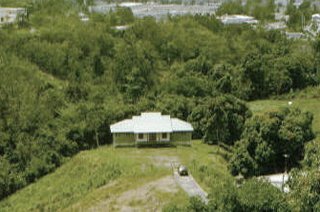 This home rests on top of a beautiful hill surrounded by fruit trees (mango and avocado) and a small creek creating a peace full and desirable environment. Price: $325,000.00 - Construction Loan can be arranged for finishing the home. 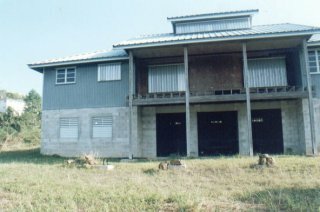 This property is located in the Vargas Sector of the Rio Grande Ward. This area is a very serene and peaceful area of Rincon were the neighbors know each other and look out for each other. Town services are just a short drive away down the hill. For the visionary, the home serves as an excellent main lodge home for that perfect cabin retreat.